We like to think of ourselves as food adventurers, but some strange Japanese food and drink proves that we’re not as open minded as we thought. 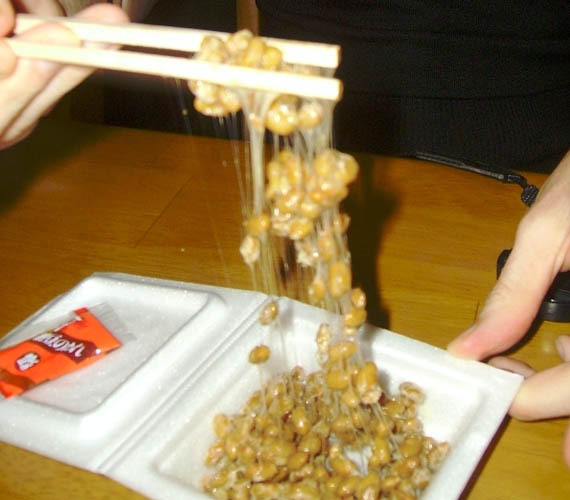 Check out 12 bizarre Japanese food & drinks… most of which we’re shamed to admit that we’re afraid to try. A nice cold beer sounds great after a hard day, but wasabi beer sounds less than refreshing. 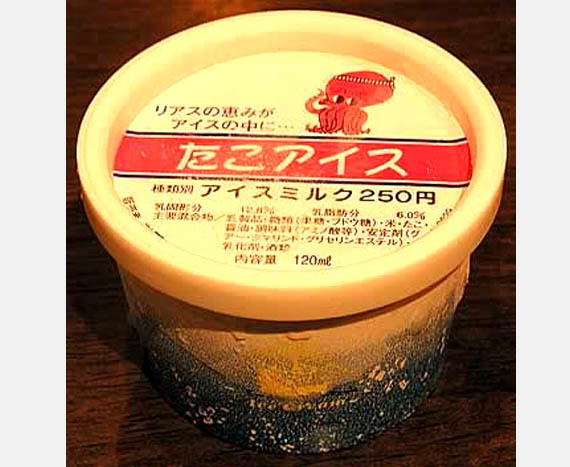 If you thought Japanese red bean ice cream was weird then you should try Octopus ice cream. Okonomiyaki, known as Japanese pancakes or as Japanese pizza isn’t really much like either. 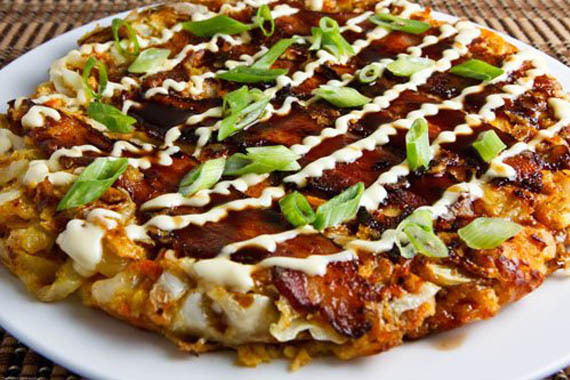 Made with batter (hence the pancake reference) and covered with toppings (which may have inspired the pizza connection) Okonomiyaki is usually topped with ingredients like cabbage, vegetables, mayonnaise and okonomiyaki sauce which tastes sort of like Worcestershire. But really, they can have anything you want since the name literally means “what you want”. 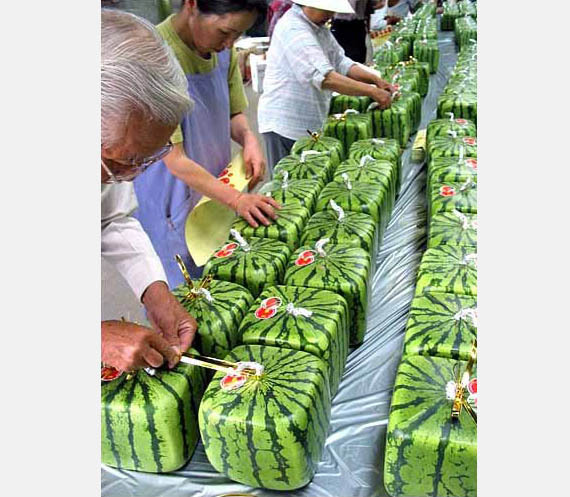 Square Watermelons were created to save space and become so popular that they cost around 10000 YEN for one (that’s around $100). 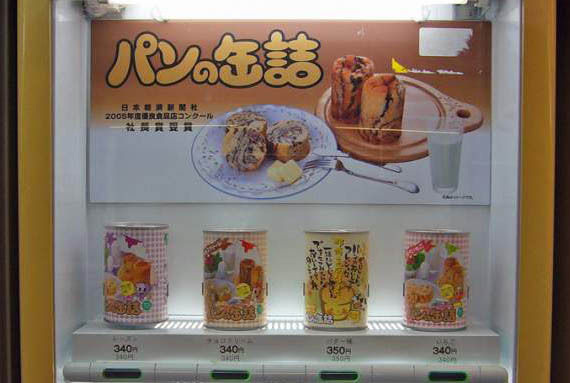 If you thought sliced bread was convenient then get a load of canned bread, available in vending machines across Japan. 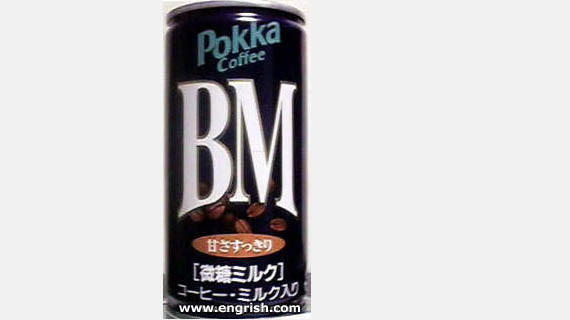 If you thought Pocari Sweat was weird, then you’ve never tried BM coffee. We really don’t want to know what’s in this stuff. 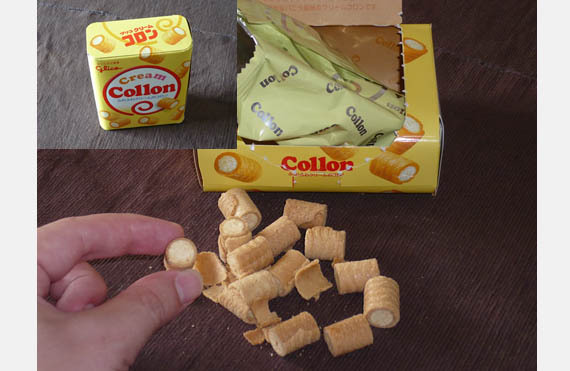 Possibly to go with your BM coffee, Colon snacks are unfortunately named, but very tasty snacks. 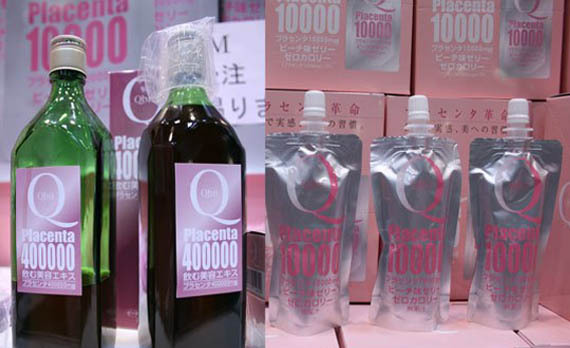 Jelly drinks are strange enough to Americans, but Placenta 10000 isn’t just unfortunately named… it contains actual pig placenta. Apparently it’s healthy and tastes like peaches. 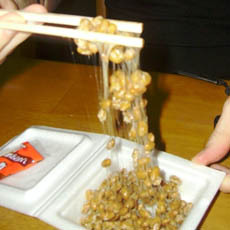 A favorite in Japan, but not very popular among foreigners, natto looks like a pile of snot. It’s not much more appealing once you find out what it actually is… fermented soy beans. 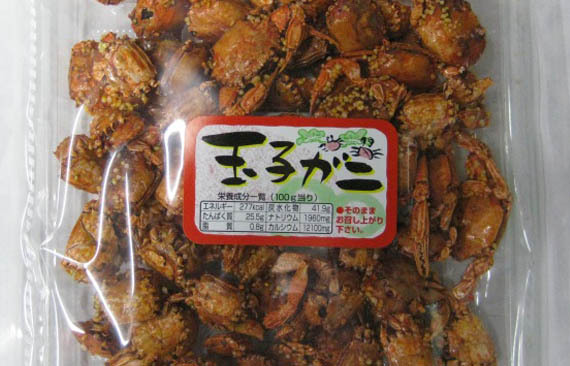 In Japan rather than crunching on potato chips, people crunch on dried hermit crabs called Tamagogani which roughly translates to “egg crab” or “baby crab”. Generally in the US we like drinks that are refreshing and sweet and don’t look like they’re swarming with tadpoles, but that’s just us. Sure, the wasps in these crackers are already dead but how can you put something that stings you in your mouth and not be a little freaked out? Okonomiyaki is delicious!!!! It’s more like a frittata with barbecue sauce(if it’s made correctly). I get this @ every japanese restaurant if it is on the menu! 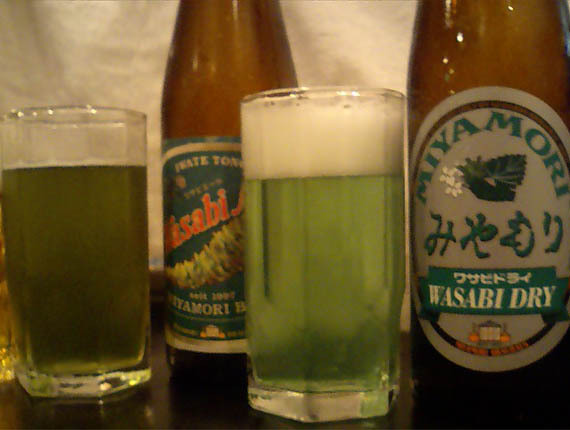 Wasabi beer would be a GREAT prank on St Patrick’s day! Mmmm, pig placenta, my fave! How much is that cubic watermelon? It looks yummy! All of it sounds good! Square watermelons – who would have thought? Now I’m hungry. Five years ago, I found a bottle of the Basil Tea drink in Asian Markets here (California, USA). I had to buy it, and put it in my Mother in Law’s refrigerator for fun. The writing on the can of basil seed juice is clearly Spanish. Everything is okay, except for the wasp crackers. And cubic watermelon isn’t really “bizarre”. All it is, is a watermelon in a cube-ish form. I spent time in South Korea and saw Pocari Sweat all over the place, but was always afraid to try it. Turns out it’s pretty good…it replaces things you sweat out. Never felt like trying okonamiyaki, tho. Japanese canned coffees are incredible, too. – Wasabi beer: novelty item. Unpopular. – Okonomiyaki is like an omelette. Get over it. – canned bread is not popular. – Square Melons are a novelty. – Basil seed drinks and wasp crackers are not even Japanese. Reporting weird news in interesting, but outright lying is inexcusable. I think OKONOMIYAKI & NATTO are very delicious. I don’t know about other foods. If you can not understand easily , I’m sorry. I am amazed to see that Japanese people are able to take all these food and drinks to their stomachs. As many people like me are thinking that they are totally uneatable thing but the Japanese surely love them. Thanks for posting and sharing it. 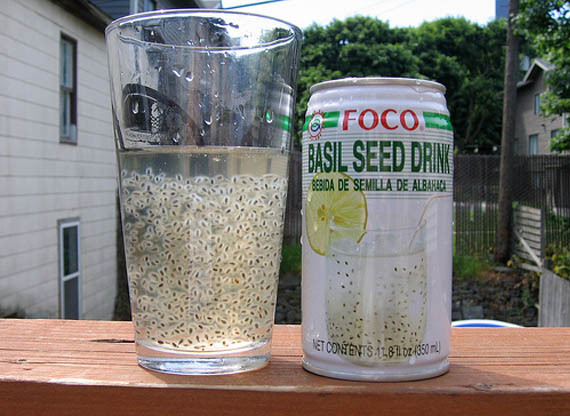 the basil seed drink is actually Taiwanese and it is not as gross as it looks. It’s got a nice herby flavor and is sweet with an almost vanilla undertone. I quite like it. This list is lacking Japanese candy… they have some candy out there that looks like real food. Like hamburgers, hotdogs, and sushi. ^ Who the heck would eat that?! I’ll eat anything there except the wasp crackers. That’s where I draw the line. 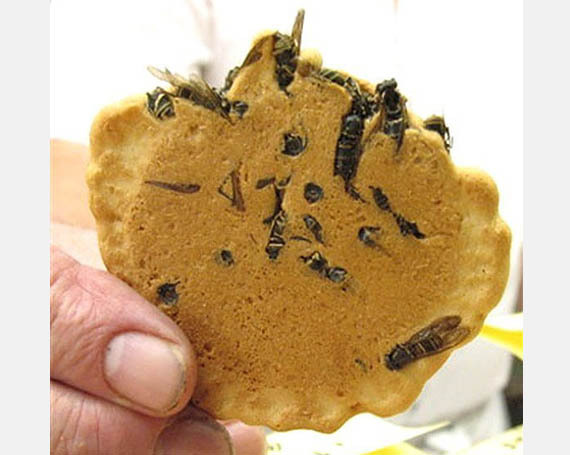 There’s some stuff I’d try on here like the optipus icecream, wasp crackers, basil seed drink, & dried crabs. But when it comes to eating something with a pig’s placenta or something’s poop in it, I draw the line. While I’ve always had an open mind, I don’t have a SICK one!!!! Hehe, sounds interesting, a bit of fun for the braver people amoung us! Nice list! Crunchy baby crabs from Japan. Mostly, they taste like salt or very spicy (depending on flavours used). They’re not awful but the crunchiness was better than the taste. I remember feeling very thirsty after a few munches. There could be unlabelled aspartame in such foods. The basil seed drink is actually a Thai product, and the cubed watermelons are for decoration only not intended for consumption.